What is Become One? 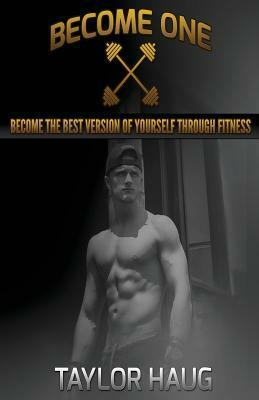 Become One is a training program that allows you to improve everything about yourself. With this program, you will not just improve your body, but your mind and spirit as well. When most people workout, they look to improve their physical self. However, through the use of different routines and techniques, one will be able to improve more than what they think is possible. Would you like an increase in energy? How about a boost in self confidence? Or increased awareness about your body and its capabilities? And of course, would you like to have a body that turns heads everywhere you go? Then this is the training program for you. You will work out smart, safe, and in the most productive way possible. Results are achieved with a vision, goals, a plan to get there, and absolute consistency and persistence. The Become One program is laid out perfectly for your gain. No matter what your desired end result, I will help you get there. When I go to the gym, my mind is the muscle that’s working. My physical body is the result of my mind working: I’m a sculptor shaping my masterpiece through constant thoughts of improvement. What do you think about when you hear the words “working out”? When most people hear those words they think physical – they think changing or improving the physical body. Whether it’s losing weight, gaining muscle, toning, or whatever else, it’s always been physical movements that controls our results. However, what if I told you that your weight loss or weight gain starts and finishes in the mind? Does this make you question your workouts? You may be thinking, “Taylor how in the world does it start in the mind?” Well it’s simple, our results are a direct reflection of our thoughts. When one thinks weight loss, one receives weight loss. When one thinks muscle gain, one gets muscle gain. It’s that simple. Your dream body will be achieved by changing your thoughts, mental mind, and your plan. It’s a simple change to your workouts that will allow you to achieve more results than ever before.